Coppice Lane Pools was established in 2001 as a commercial fishery. It comprises of six beautifully maintained pools on a 18-acre site which offer a combination of	mixed pleasure and match angling. There are 145 pegs in total, 137 are available to pleasure anglers and 8 pegs on our specimen pool. The lakes are stocked with Carp, Tench, Chub, Bream, Perch, Roach and Rudd. All pools are spring fed, this provides a constant supply of high quality water through the pools. 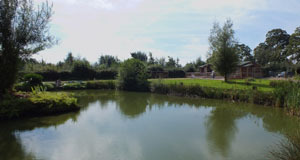 The fishery is situated in an attractive and mature area of the forest of Mercia. There is car parking and toilet facilities available on site. All pegs are hard based, and large enough to accommodate most anglers tackle. Unlike many commercial fisheries, Coppice Lane Pools bucks the trend of being an out and out carp venue. The Top Pool, Bridge Pool and Becketts are predominantly carp, tench and chub, but Middle and Bottom pools offer a fantastic variety of different species. Coppice Mill specimen pool offers over a 100 double figure carp ranging from commons, mirrors, leather and ghosties.